As I mentioned before, three days in Hong Kong just isn’t enough but I was ready to get to Australia at last! Another long flight loomed. This couldn’t be worse than the last one, right? Mostly. I was on an aisle seat, which was fine. Two Chinese women were next to me and one wanted the aisle seat and the other the window seat. I didn’t want to be trapped between them so I politely said no. Unfortunately, they spoke no English. The flight attendant translated for us but somehow I got stuck in the middle anyway! Without going into too much detail, I think I either got adopted or married, honestly not sure which. The only phrase they knew was “I love you” and it was said to me over and over! They were fascinated with my eyes and kept showing me pictures of their families. I fell asleep for an hour and woke up wrapped in three blankets. And they kept feeding me food! How awkward. Still, better than kids. Anyway, I’ve been in St Kilda for just under two weeks and I’ve loved every moment…well, except one part. The first day was wasted, but it’s normal. I sorted out some boring stuff like banks and orientation and took myself on a short walk but mostly chilled at the hostel. A few drinks in the evening helped me settle and I met my first friend, who works at Base. We get on really well and this isn’t one of those who I’ll spend time with and forget, I’m sure we’ll keep in touch! If you had told me before I arrived exactly what kind of hostel Base was, I probably wouldn’t have booked in. Too much partying and noise for an old git like me but actually, I think it was the best thing. It forced me to do things and get involved and that helped me get out of my shell a little. You might not think I need help with that but being so far away and knowing no one, that little push helped me get involved a little quicker. I’ll pop back every so often but I don’t think I need it anymore. 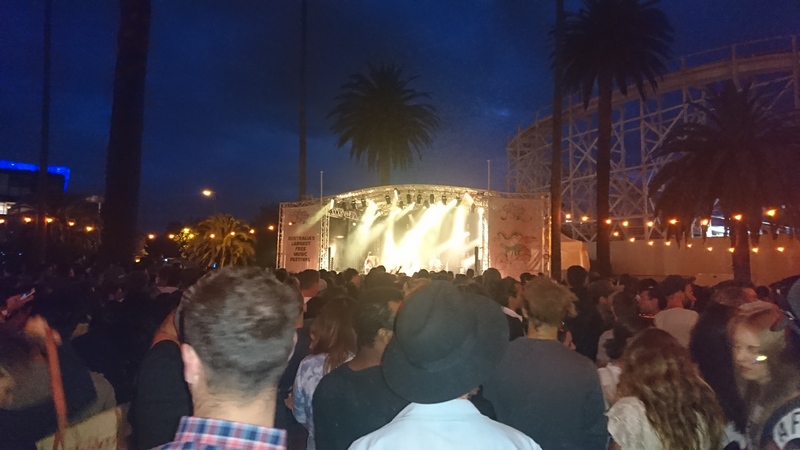 Less than a week after I arrived, St Kilda Festival arrived. I didn’t know this was happening before I arrived but I was excited to go. It takes over the entire area, and is one of the biggest free festivals in the southern hemisphere! About 400,000 people were expected this year with stages and displays and arts stuff going on throughout the day. Of course, I found the rock stage. Saw some good bands and spent a nice day wandering and chilling in parks with some of the friends I’ve made since arriving. To have this right on my doorstep, literally, was a stroke of luck and while I get why residents avoided the area for the day or weekend, it was good fun and I didn’t see any fights or riots that happen in festivals back home at times. I’ve spent a lot of time finding my feet so far, going on walks around the area, visiting the beaches – some of which are really nice but I’ve been told they’re nothing compared to elsewhere! Melbourne is a very friendly place overall, and despite the busy areas feeling a little overwhelming at first, I feel like I did in Manchester. I love it here. 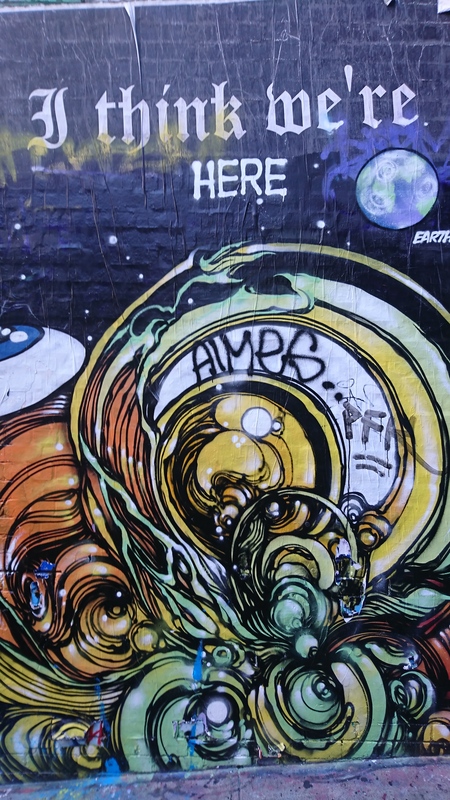 I’ve heard mixed things about Hosier Lane but I found it really interesting. Some great graffiti art here and I took a lot of pictures. It was smaller than I expected, though, and I saw someone working on a new piece. Having a place for people to do this is clever, as I’ve not seen as much graffiti as back home generally. 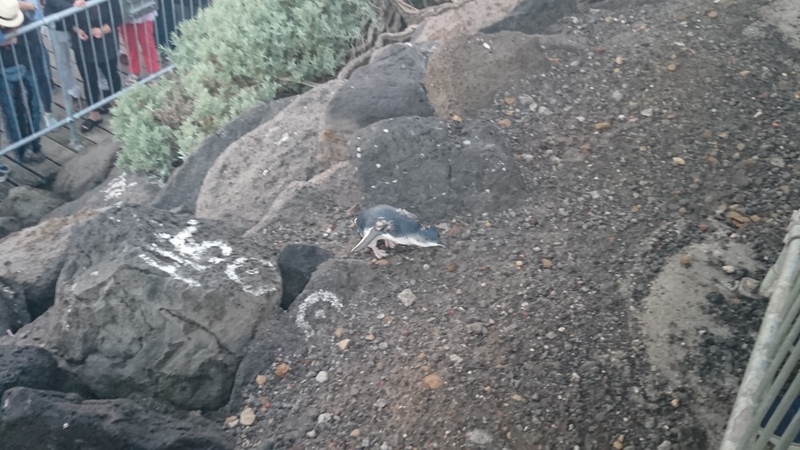 There are also penguins living on St Kilda pier! They come out at sunset and go hunt. They’re not phased by people at all but I did feel like pushing people away when they were trying to get past the crowd. It was so cool but it’s important not to feed them to disrupt their cycle. Being slightly out of the city has its perks, it’s easier to relax a bit more and still be close to everything I want to do. Getting out of the holiday mentality where I feel like I have to do something different every day has been hard but I’m getting to the stage where I’m happy to have a chill day, especially knowing I’ll be back again. However, a few days ago I was out on a pub crawl and my drink got spiked. I didn’t know at first but soon I was unable to stand, see straight or do anything. The next day I couldn’t focus my mind, see properly, eat anything and more. It was awful. It took me over a day to fully recover but I’m fine. It’s happened now and it hasn’t put me off doing things – I just need to be a little more careful. The sad thing was I missed White Night, which is a 12-hour light show in the CBD with music and such. From the pictures and videos, it looked epic. Next year, I’m doing it! Tomorrow I fly to Perth for two weeks to see a friend from back home and spend a little time exploring the city and the area. 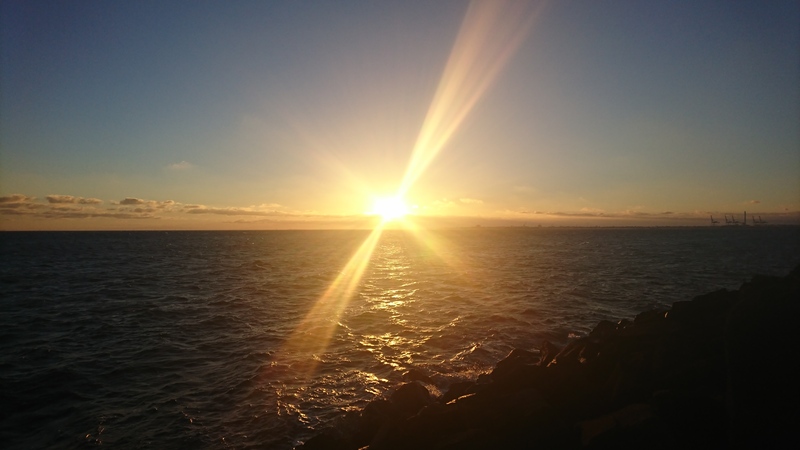 I’ll be coming back to Melbourne after for another few weeks to explore more and find more sunset views like this before a big, month-long adventure!